This wing pays tribute to the greatest Greco-Roman wrestlers in American history. 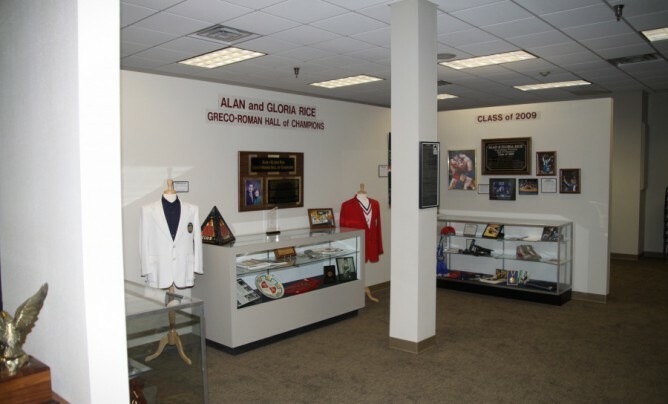 The hall is named for Alan Rice, an Olympic wrestler and coach from Minnesota, and his wife Gloria, an internationally known expert in pairings. The hall includes many special displays concerning this very physical form of wrestling, including special tributes to Rulon Gardner of America and Alexander Karelin of the former Soviet Union.